Scores of people were dazzled by the array of special edition vinyls on display while others rocked out to live band music playing inside the record shop all afternoon and into the evening. Here are some of the best pictures from the day. Vinyl enthusiasts brave the cold to que outside the store (L-R) Terry Bateman, Paul Craig, Debbie Bateman, Wayne Harris, Lewis Gauntlett and Ray Waters. Picture: Duncan Shepherd. The 12th annual Record Store Day. 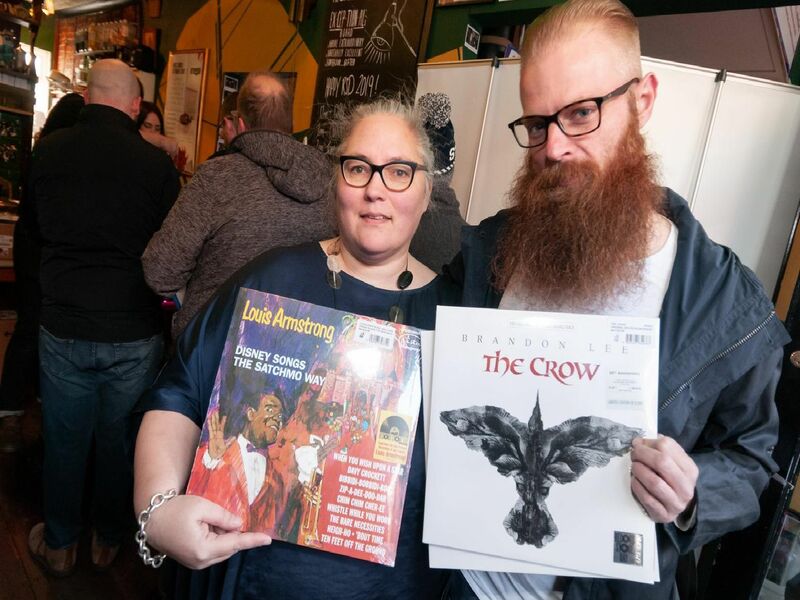 There were more than 500 limited edition records released to mark the day as a celebration of all things vinyl and the independent shops which sell them. Picture: Duncan Shepherd. There were more than 500 limited edition records released to mark the day as a celebration of all things vinyl and the independent shops which sell them. Picture: Duncan Shepherd. The 12th annual Record Store Day at Pie and Vinyl, 61 Castle Road, Southsea. Picture: Duncan Shepherd.